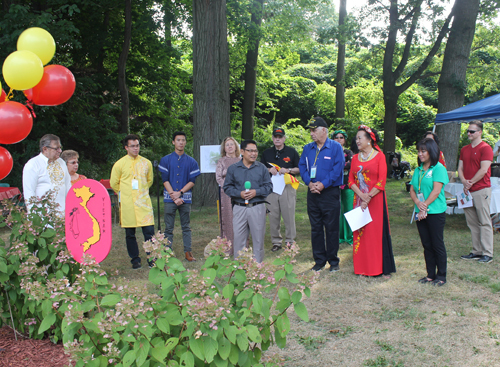 The Vietnamese Cultural Garden in Cleveland Ohio hosted a flag-raising ceremony on the 72nd annual One World Day in the Cleveland Cultural Gardens. 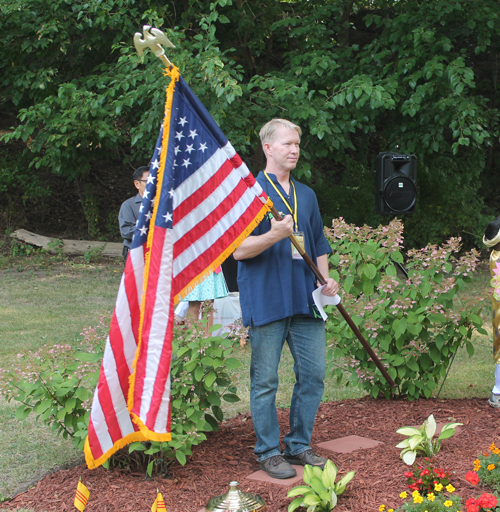 It began with MC Joseph Meissner welcoming the crowd. 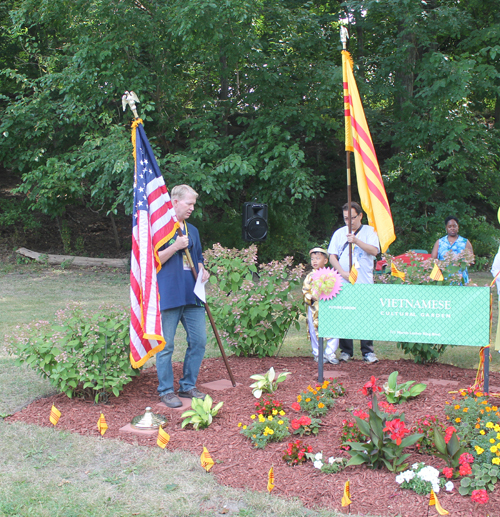 The flags of Vietnam and the United States were honored and the national anthems of both countries were sung. 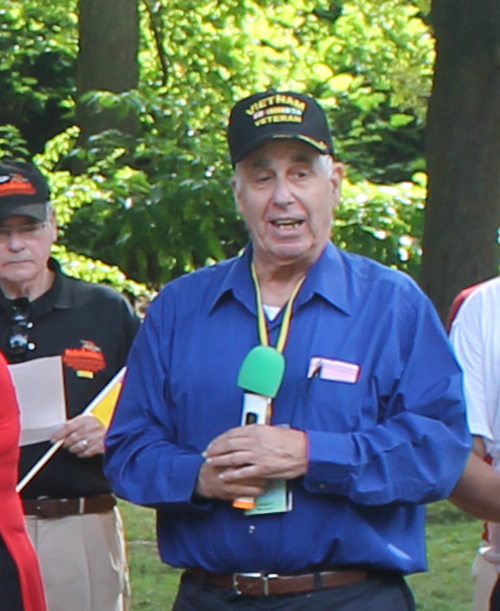 Vietnam Veteran Lt. 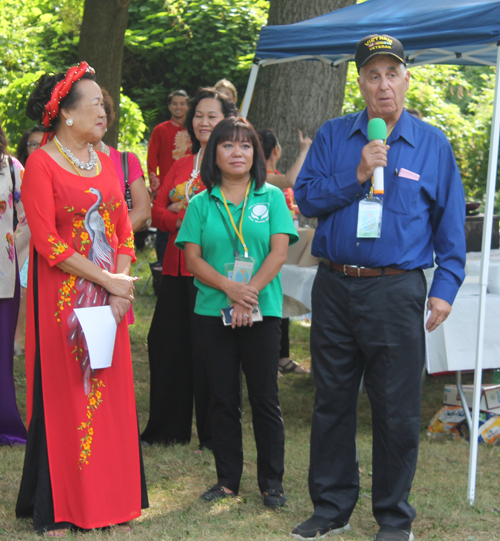 Colonel Ernie Minichello spoke at the Flag Raising ceremony in the Vietnamese Cultural Garden in Cleveland Ohio on One World Day. 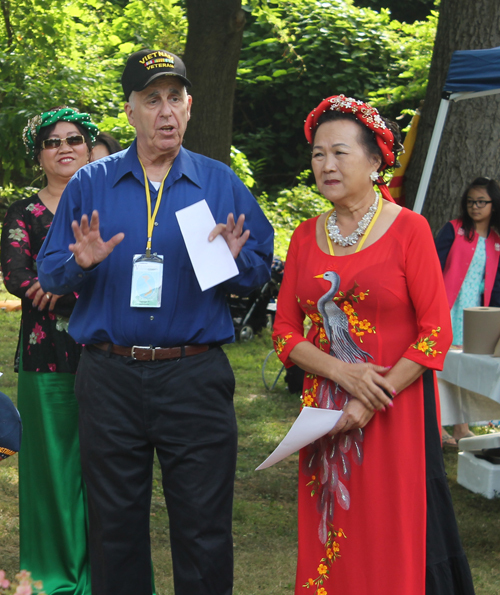 He spoke of his service, what it means to be an American and the current and future situation in Vietnam. 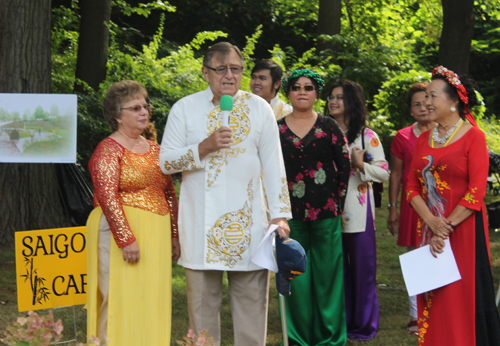 Vietnam Veteran Lt. 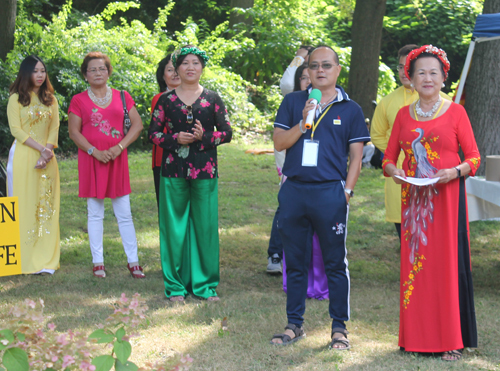 Colonel Joseph Meissner introduced Mr Kha Duong, the president of the Vietnamese community of Northeast Ohio at the Flag Raising ceremony in the Vietnamese Cultural Garden in Cleveland Ohio on One World Day. 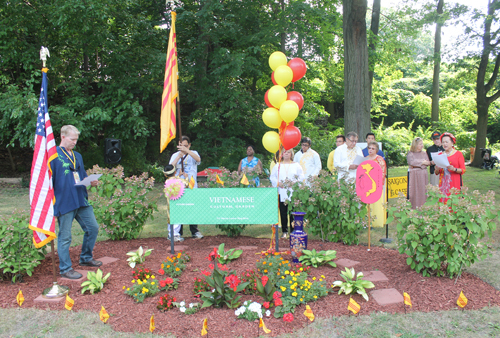 He spoke of the Vietnamese community and the Vietnamese Cultural Garden. 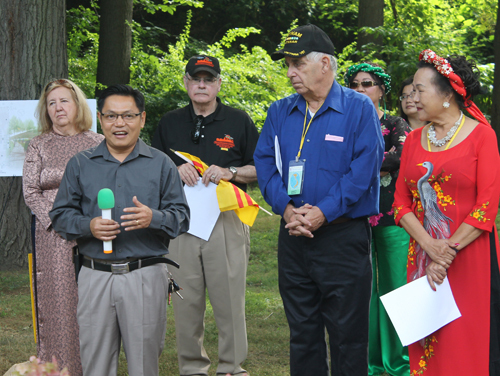 Vietnam Veteran Lt. 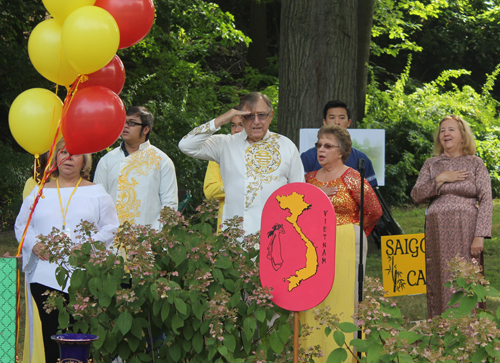 Colonel Joseph Meissner introduced Robert Doezen, Master Sergeant-RET at the Flag Raising ceremony in the Vietnamese Cultural Garden in Cleveland Ohio on One World Day. 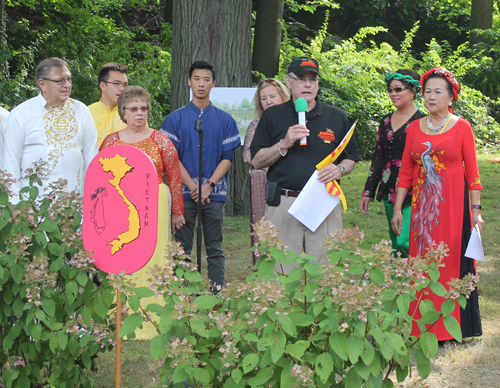 He spoke of his experience in the Vietnam War. 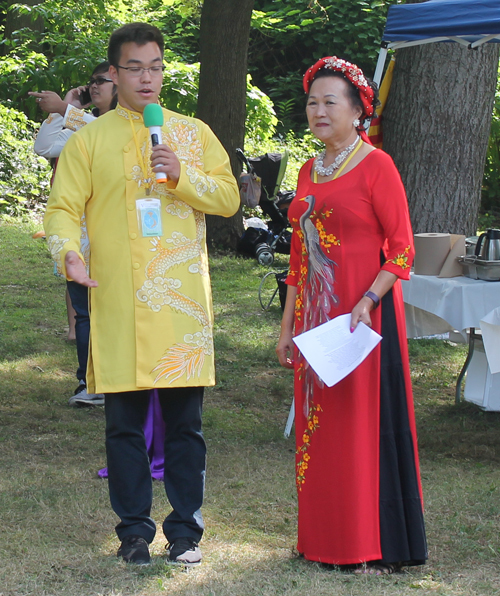 Joseph Meissner introduced Oanh Loi-Powell, the Vice-president of the Vietnamese Cultural Garden at the Flag Raising ceremony on One World Day. 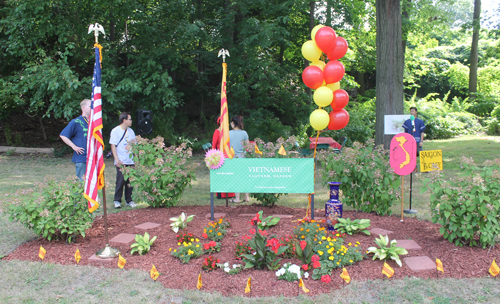 Oanh told how it takes a community effort to build the Garden. 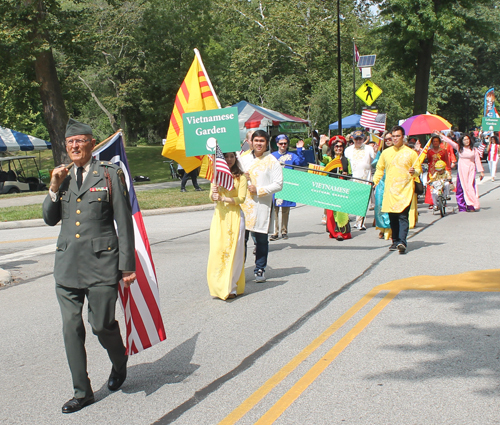 Vietnam Veteran Lt. Colonel Joseph Meissner was a Green Beret. 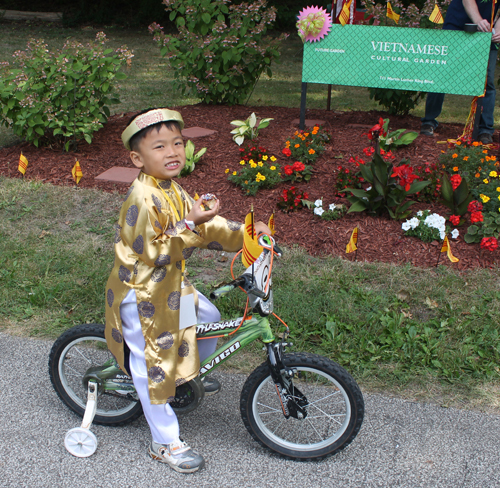 He has been back to Vietnam 30 times since the war. 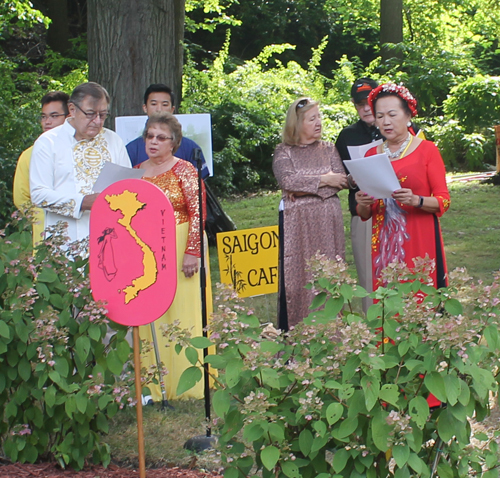 He spoke in the Vietnamese Cultural Garden at the Flag Raising ceremony on One World Day. 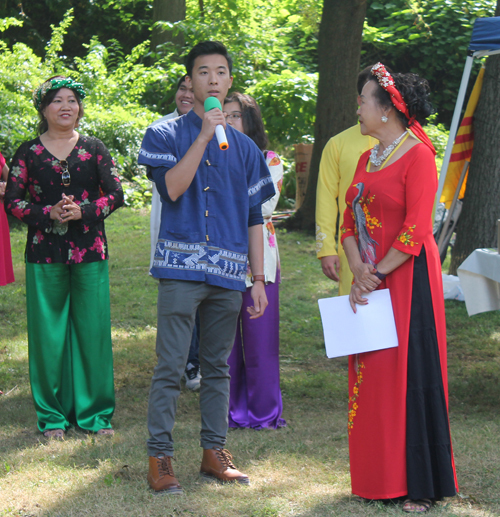 Joseph Meissner introduced Gia Hoa Ryan in the Vietnamese Cultural Garden at the Flag Raising ceremony on One World Day. 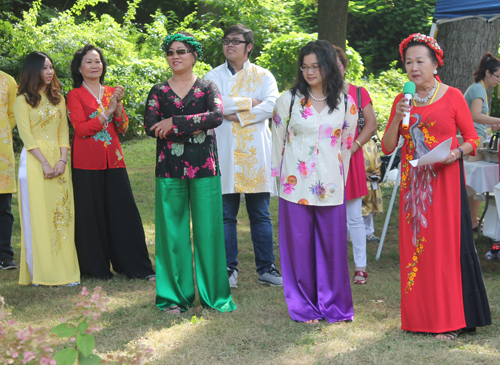 Ms. Ryan started the Friendship Foundation of American Vietnamese and is president of the Vietnamese Cultural Garden. 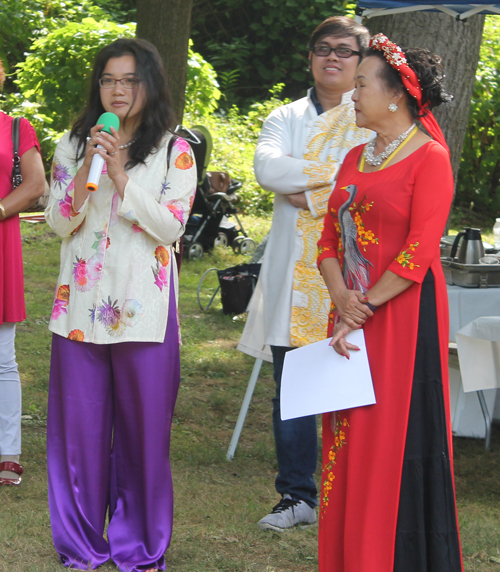 She introduced Tyler Powell, Truc Phuong Nguyen, her niece and nephew and other young people to speak because they are the future of the Garden and the community. 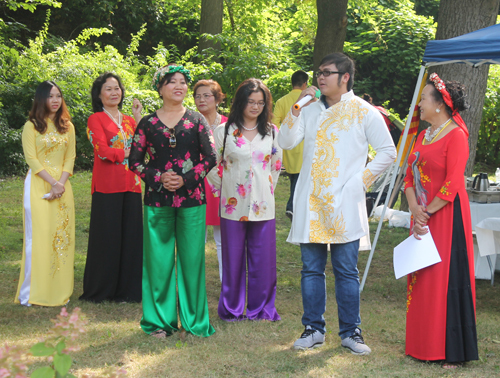 The festivities continued in the Vietnamese Cultural Garden all day with delicious food and drinks, photo opportunities and lessons on Vietnamese culture. 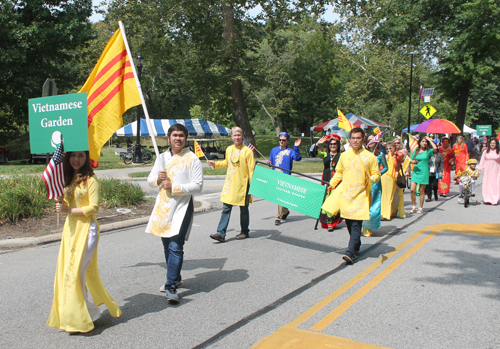 Later in the day representatives of the Vietnamese Cultural Garden marched in the One World Day Parade of Flags. 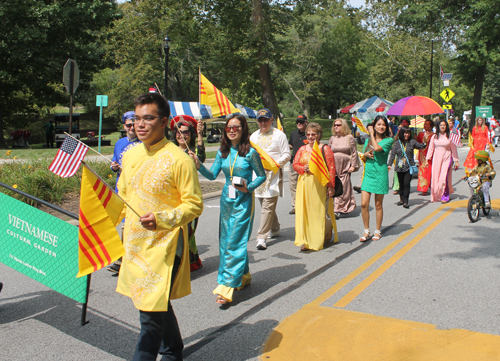 Watch this video of the entire Parade of Flags at the 2017 One World Day. 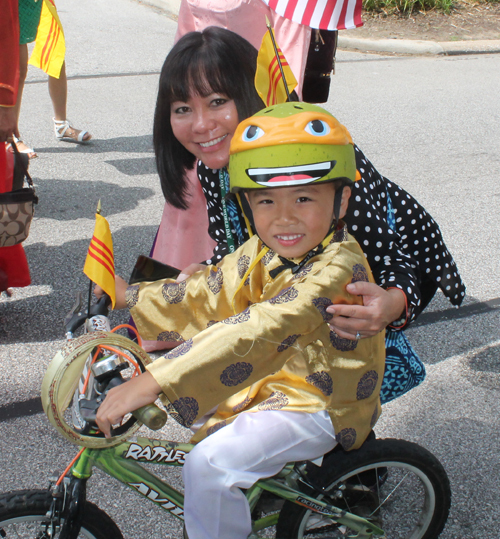 Stay informed about the local Vietnamese community by signing up for the free Vietnamese eNews mailings. You can select other specific groups as well. It's easy and free. 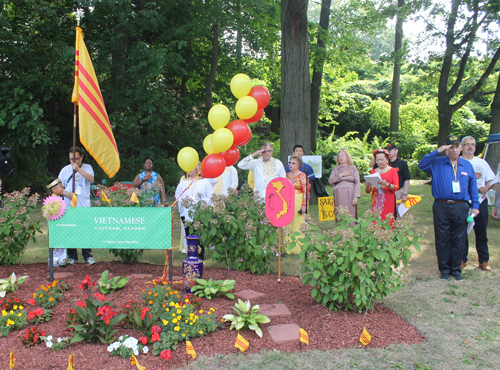 Fill out the form for the free Vietnamese eNews. 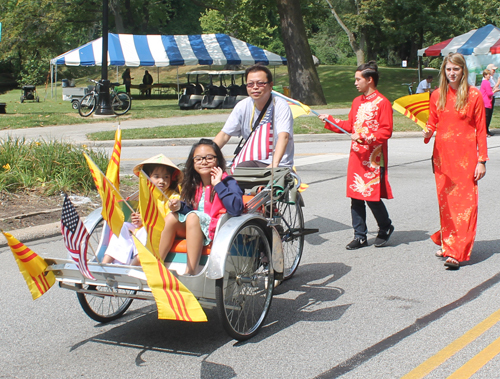 If you want to reach the Vietnamese community in Cleveland and Northeast Ohio, please contact us.